Christian boarding school for struggling teenage girls from Illinois. – Christian boarding schools and Christian boarding schools. Learn About Wings of Faith Academy, a Christian Boarding School for Girls. This Christian boarding School in Missouri Helps Girls from Illinois. Wings of Faith Academy is a Christian boarding school was founded to help girls who are struggling, including from the state of Illinois. If your daughter seemingly changed overnight to become angry and even a danger to herself or her future, our safe and secure Christian boarding school can help. Girls who attend WOF are those who have maybe threatened to run away from home, or who are consistent liars, or using alcohol and drugs, or being sexually active. Your daughter in Illinois may be attempting to exploit your parental love, so it is possible that you may feel inadequate and blame yourself for her troubles. But it is important to remember that you are not the problem; you are simply being manipulated to feel bad about yourself, so that you’re more likely to give in. Our boarding school works closely with each and every teen under our care to help her improve her behavior. We teach girls coping skills, character, self control, personal accountability and good habits. We help them repair and rebuild damaged relationships with their family. Our academy is an lower cost, highly successful, educational option for girls who are having a difficult time in traditional schools. 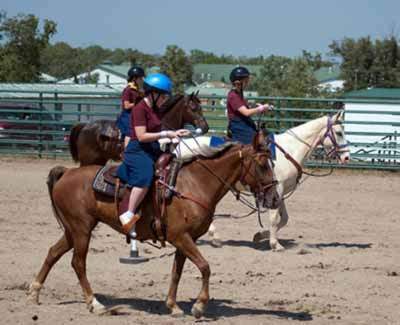 We enroll girls in our Christian boarding school from Illinois, year-round on our Missouri ranch campus. While you search around Illinois for a Bible-based Christian boarding school which can help, we invite you to discover Wings of Faith Academy. Though it is not located in Illinois, Wings of Faith is more than 50% less of typical therapeutic boarding schools around the nation, including Christian therapeutic boarding schools near Illinois. We enroll teen girls from Illinois and throughout the country. Many young women come to our Christian boarding school failing or falling behind at school due to distractions of life issues. Our accredited high school curriculum gives an opportunity to compensate for missing or failed credits and graduate high school in a timely manner. Wings of Faith Academy emphasizes spiritual growth throughout our program. We teach biblical principles to address the critical issues that teens face. We have witnessed miracles happen in the lives of even the most rebellious teens. We engage girls with a number of activities to let them relax and have fun again. Games, crafts, recreation, horseback riding, swimming, volleyball, movies, field trips and more keep girls active and having fun. Our Christian boarding school was founded to rebuild families from Illinois, and from places everywhere in the nation. Fill in our inquiry form or phone us to talk to an admissions counselor. is an Affordable Christian boarding school with behavioral therapy. Arlington Heights is a village in Cook and Lake counties in the U.S. state of Illinois. A suburb of Chicago, it lies about 25 miles northwest of the city’s downtown. The population was 75,101 at the 2010 census. Arlington Heights is known for Arlington Park Race Track, home of the Arlington Million, a Breeders’ Cup qualifying event; also hosted the Breeders’ Cup Classic in 2002. It is also home to the Arlington Heights Memorial Library, which has one of the largest collections in the state, as well as the Metropolis Performing Arts Centre, Saint Viator High School, John Hersey High School, South Middle School and Thomas Middle School. Excerpt about Christian boarding schools in Illinois, used with permission from Wikipedia. Should you need help finding behavioral schools, homes for troubled youth, therapeutic boys homes or youth residential treatment centers, please let us know. If you are searching for troubled youth homes, troubled teen schools or troubled teen boarding schools, you have found one. Homes for troubled teens and boarding schools for teens don’t typically offer teen counseling and therapy, but we do. Our therapeutic boarding school is among best therapeutic schools with counseling. Our troubled teen school and residential treatment program for teens is affordable. The Wings of Faith religious, faith-based, therapeutic residential school helps turn around rebellious girls who are defiant or out of control and get them back on track spiritually, mentally and academically. Compare our girls boarding school to therapeutic programs and other religious residential schools for girls. Call us to see how affordable our school for girls can be. Wings of Faith is a therapeutic boarding school for struggling teen girls, ages 8-17. If your teen girl is deceitful, struggling with authority, running away, coming home late, sexually promiscuous, failing school, or has been diagnosed with Attention Deficit Disorder, Attention Hyperactivity Deficit Disorder, Oppositional Defiance Disorder, or depression, Avoidant Personality Disorder, Compulsive Personality Disorder, our boarding school for girls can help. Christian boarding school for struggling teenage girls from Illinois.